If you are over 21 & have had your first home away from home, you’ve spent entirely too much time (but arguably not that much money) in the maze-like monstrosity that is Ikea. Now that it’s 2010, I invite you to try their Japanese fraternal twin: MUJI. I had never even heard of MUJI until it came up at work as a place to buy cheap, anonymous (read: customizable) yet design-conscious office supplies. My Italian mind thought it was spelled Muggi. Dumb. You can get all sorts of weird random things in a really small space; in other words, it doesn’t take 1 hour to get in & 1 hour to get out. 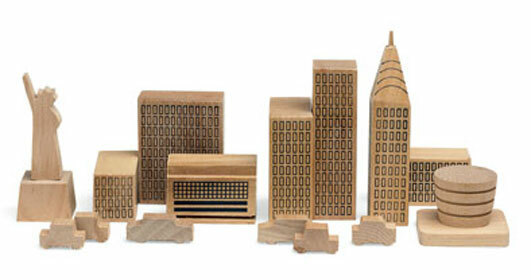 Seat cushions, build-your-own-pens (really awesome actually), underwear, wooden city skyline block sets, furniture, and picture frames all manage to coexist very peacefully. On their website, shopping is called “Playing” and each product shot, if you hover/sit with it for a while (stop scrolling!) starts to animate itself like that painting in the Witches with the girl feeding the ducks. * Or I suppose for you Harry Potterheads, like the portraits. Unfortunately a quick scan of the clothing section did not turn up their fabulous bat-sleeve (I admit, I am obsessed with the silhouette) simple cotton shirts, perfect for spring in robin’s-egg heathery blue. Wait, what?! 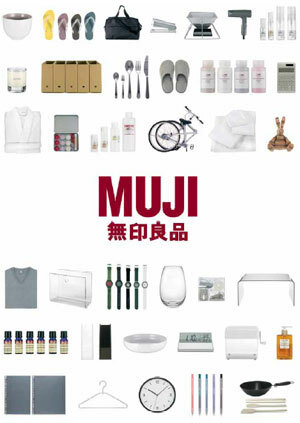 MUJI is telling us to settle for mediocrity? Keep reading. OK, whoever wrote this was clearly in some sweet spot that I have never been. I want to like manifestos, it’s in my nature, but I’d give this manifesto a gold brown star (b.s.) The photography on their page is pretty stunning, so the b.s. could be upgraded to one of those red shiny ones. Any of you frequent MUJI? What do you buy there? *If you got that reference, big gold star for you! If i had less control over my bodily functions, I would be drooling… a lot. It’s fair to say that recently I have noticed my attraction to things which lend themselves to subtle levels of perplexity. Perhaps is comes from my analytical nature. 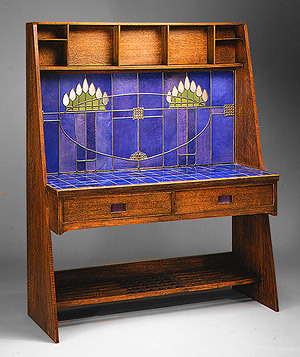 I mean, have you ever seen art nouveau and french country kitchen so well intertwined as in this stunning Chalres Rennie Mackintosh Washstand (1904)? Oh, where to put it? I’m thinking in a slender Foyer, next to an embellished hat stand. Or in a portico pass on the way to your well-loved, white-washed kitchen splayed with vibrantly colored mismatched plates and a well worn, unfinished wooden table with benches instead of chairs. Various hard covered books are stacked along the bottom shelf, while a large ceramic bowl, a pitcher of water, and the day’s mail lay on the counter top. Or maybe it could go in the hallway upstairs. This clearly will be for the nursery. My instinct would be to have it for one wall only, perhaps as the backdrop for the rocking chair along with a side table for books. In the corner: one of those gigantic stuffed animals I always wanted when I was little, like a giraffe. 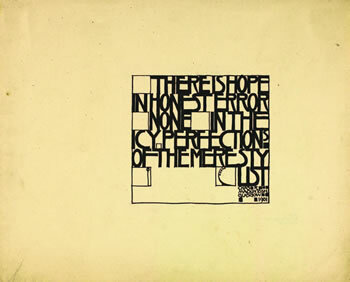 And to complete the composition, maybe a colorful abstract painting, or either a picturesque window… Oh! better yet, french doors opening up to a petite balcony overlooking a Van Gogh-worthy Landscape. The latter I’m imagining on a door. Maybe to a spare bedroom, or a closet. Either way, the look needs to have some distress to it. That’s as far as I’ve gotten. But I do think it lends itself to a variety of options. I can even imagine using it to mask the unsightly back of a piece of furniture, like the blue chest I have in my room. Sorry, no pictures available. 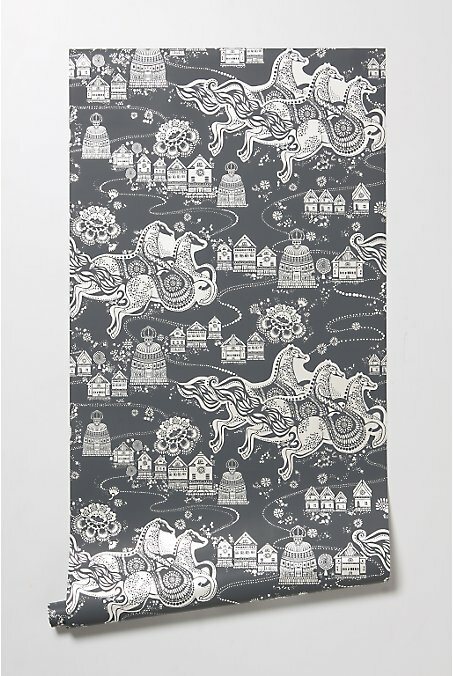 If you appreciate wallpaper, and these in particular, I’ll go ahead and send you over to Anthropologie‘s website. 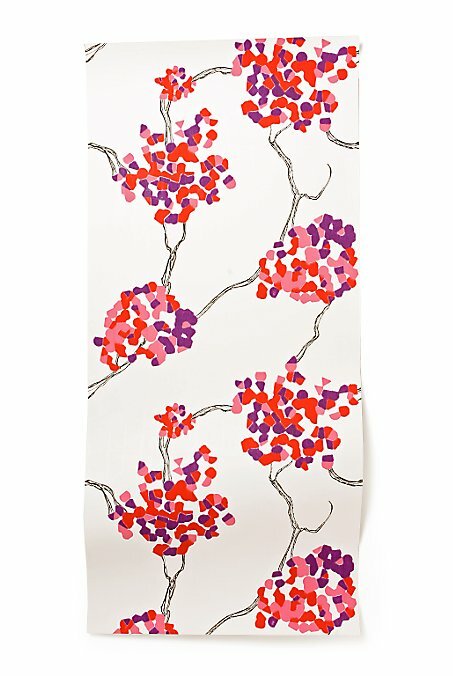 I’m also a really huge fan of the cutlery wallpaper, but that, sadly to say, is definitely out of my price range (like the Mackintosh washstand isn’t…). 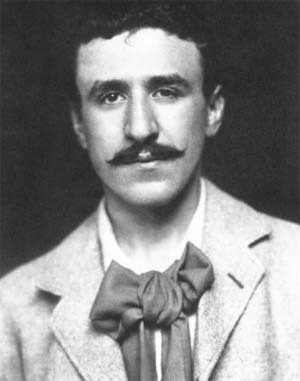 Anyway, back to Mackintosh. He is exactly the type of person/artist I LOVE. Precisely because he is sooo visionary, that he cannot manage to contain his spirit in one discipline. A Scottish (Glasgow) Frank Lloyd Wright, if you will, he dabbled in Architecture, Furniture Design, Stained Glass, Interior Design, Metal Work, Typography, Water Color, among other things, I’m sure. He, along with three other artists, were responsible for the formation of the “Glasgow School” movement. 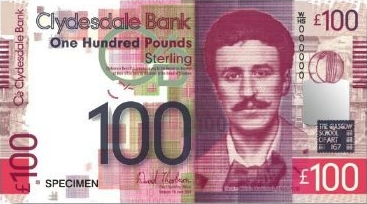 I implore you to study up on him further, especially since his work was important enough to be commemorated last year on a series of banknotes (the £100 bill) issued by the Scottish Clydesdale Bank. So, without further adieu, I’ll leave you with some images of his (of him) that I appreciate. After stumbling across this rather fascinating specimen of contemporary dutch flooring, I thought it would be the perfect material with which to mark my return to the blog. 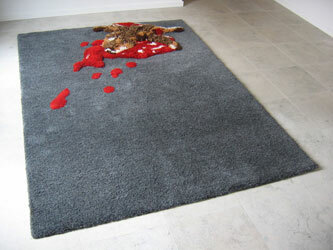 Designed by Guido Ooms and Karin van Lieshout of Oooms Dutch Design Studio, this roadkill carpet is sure to excite the curiosity and/or confuse the hell out of any and all of your guests. Personally, I’m a bit torn. If a rug is plush and soft and wonderful under bare feet, I pretty much can’t be against it, and the plug for this carpet claims that it is so. But… but.. oh.. I don’t know… Can I go for it? On one hand, I’m feeling that the message of this rug is a little too brutally realistic. Yes, too often foxes, squirrels, deer, cats, dogs, birds and all other sorts of animals find their fate resting under the wheels of our cars. Isn’t there another way to immortalize the memory of these poor creatures other than creating something else for us to step all over? Or perhaps, considering, it is the perfect way to keep their memory intact, albeit lacking dignity and compassion. Like I said, I’m torn. 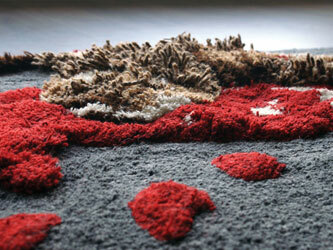 Um, conclusively, I’ll leave it at: rug for rug’s sake. HOWEVER a fixie that can be converted to a single speed with a simple flip of the back wheel is a wonderful idea. republic bike is a wonderfully colorful company that custom makes bicycles fitting the prior description according to your very own chromatic preferences. they come in three sizes (although those of us under 5′ 5″ are sadly and wistfully out of luck) and are only $344, which really, is not too shabby. darewesay this might be one of the better uses of $344 dollars. buy buy buy. I’ll admit that I have yet spent the due amount of time pursuing the droog design website, but I must say I am very very curious. Droog, which means “dry” in Dutch, lends this brand the dada-esque opportunity to serve as a resource for both functional pieces and witty art gallery material. Their most recent showcase, from what I know (and I know little at this point) was at the Museum of Art & Design in New York. I came upon this curiosity while browsing the website of Artkrush, an email magazine that also posts their content on the web. I’ll leave it up to you to investigate the excitement of art furniture and such, and hope that the following image of the piece Chest of Drawers, 1991 by Tejo Remy entices you into action. the holidays may be over, but card-giving season never ends. we found letterform, a chicago-based graphic design firm, and then we found their foodie greeting cards. so, damn, witty. and cute, and quirky, and the perfect piece of paper to give to all your foodie (or non-foodie, but funny) friends.